If you have any questions about the GALLANT LADY information page below please contact us. The substantial superyacht GALLANT LADY is a motor yacht. 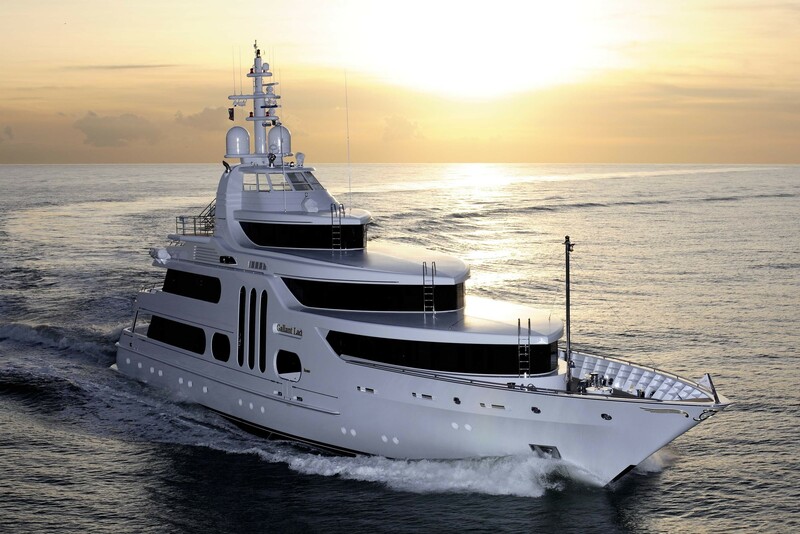 This 51 metre (168 foot) luxury yacht was crafted by The Feadship De Vries Shipyard in 2006. GALLANT LADY was previously registered as 672. Superyacht GALLANT LADY is a beautiful yacht that is able to sleep as many as 10 guests on board and has approximately 12 crew. 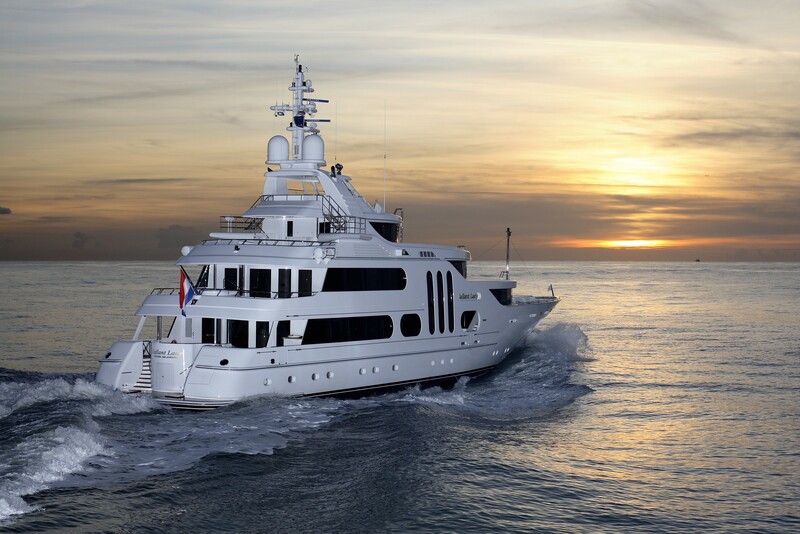 The graceful motor yacht was envisaged from naval architects De Voogt Naval Architects. John Munford was involved in the designing of the interior. 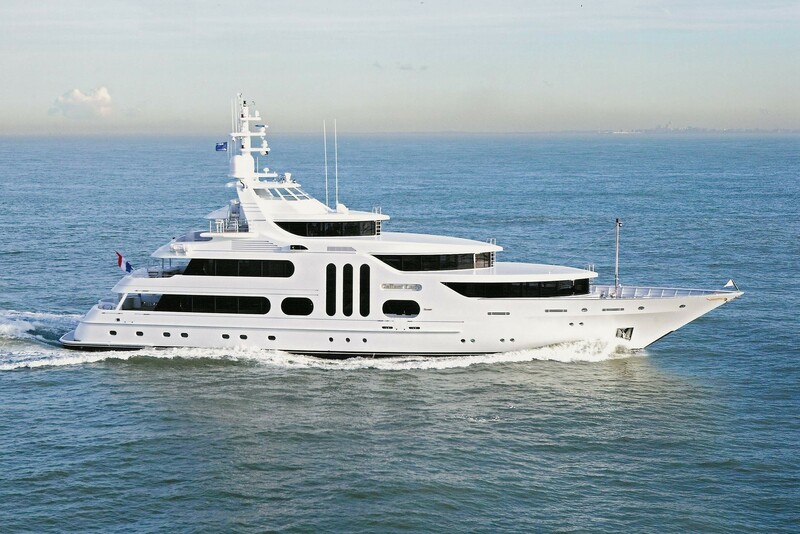 She was commissioned by one of the most respected and successful yacht owners of all time, Jim Moran. The yacht's wider design collaboration came from De Voogt Naval Architects. The formal naval architect intellectual property are the creation of De Voogt Naval Architects. Motor Yacht GALLANT LADY received her stylish interior designing from the interior design skills of John Munford. Built by The Feadship De Vries Shipyard this vessel was constructed in the yacht producing country of the Netherlands. She was officially launched in Aalsmeer in 2006 before being delivered to the owner. A fairly large proportion is achieved with a total beam (width) of 10.1 metres / 33.1 ft. With a 2.15m (7ft) draught (maximum depth) she is fairly shallow. The material steel was used in the building of the hull of the motor yacht. Her superstructure over the hull is built out of composite. In 2004 extra refitting and modernisation was additionally performed. She is engineered with two quality CATERPILLAR diesel engine(s) and can accelerate to a impressive maximum limit speed underway of 15 knots. The main engine of the ship creates 1000 horse power (or 746 kilowatts). Her total HP is 2000 HP and her total Kilowatts are 1492. Connected to her Caterpillar engine(s) are twin screw propellers (van voorden 5 blades fixed pitch). As for the yacht’s stabalisers she uses Quantum. Her impressive cruise speed is 12 knots which makes a range of 4200. The large luxury yacht motor yacht GALLANT LADY is able to sleep a total of 10 guests and has 12 crew members. 51.21 metres / 168 feet. 4200 at a speed of 12 knots. 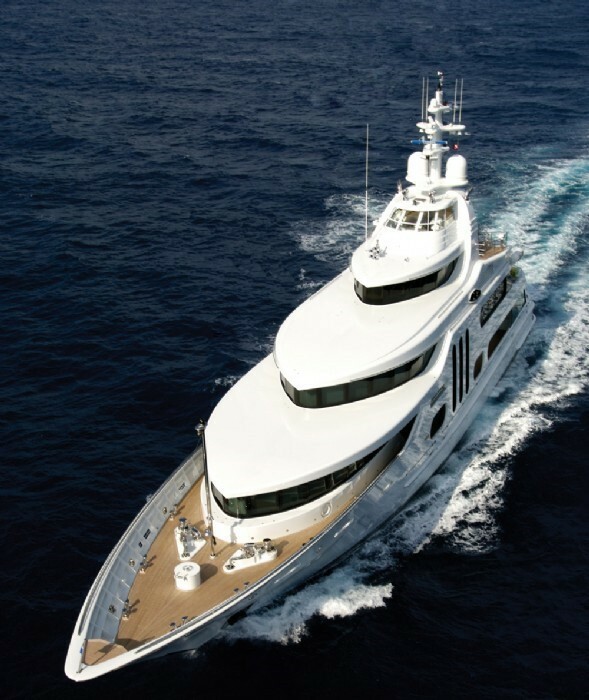 The yacht uses Heinen & Hopman AC. The luxury yacht GALLANT LADY displayed on this page is merely informational and she is not necessarily available for yacht charter or for sale, nor is she represented or marketed in anyway by CharterWorld. This web page and the superyacht information contained herein is not contractual. All yacht specifications and informations are displayed in good faith but CharterWorld does not warrant or assume any legal liability or responsibility for the current accuracy, completeness, validity, or usefulness of any superyacht information and/or images displayed. All boat information is subject to change without prior notice and may not be current.